Hello and welcome! I have been away from blogging and commenting for over a week because I have been with my Mother in Tennessee who has not been feeling well and I am headed back tomorrow for another stay. I may not be able to visit my blogging friends for awhile. I have taken time to make a quick card with this lovely new digi from Crafty Sentiments named Ice Cream Sunday Harriet that is a freebie here. It is not in their store yet and I am not sure how long the free offer is, so hurry and check it out. Thanks to Crafty Sentiments for their freebie. My card is made with the digi printed on white card stock and colored with assorted Copics and Pink Glaze Pen. I cut the image and pink mat with Nesties Circle dies. My card base is a Bright Yellow CS matted with a light Yellow mat and then a bright Pink mat and then layer of a digi pattern paper from GKD. I assembled the card following a sketch from Sweet Sunday finishing with a Pink Satin Ribbon and a Repeat Impressions Sentiment stamped with Memento Rosebud ink. Crafty Sentiments Design: Fun in the Sun...what is better summer fun than eating an Ice Cream cone?? 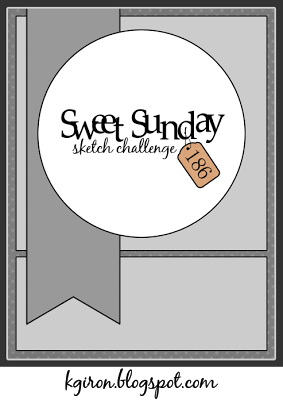 Sweet Sunday: Sketch 186 shown below. Tomorrow is the first day of summer. May your summer be full of fun in the sun! 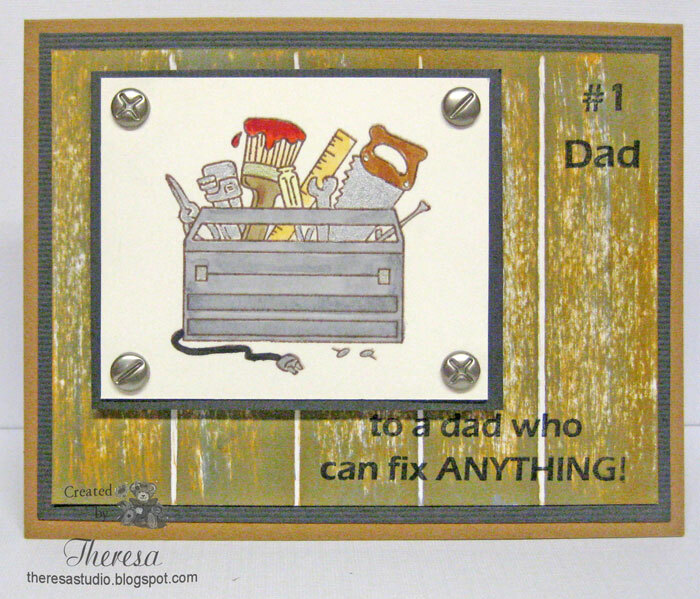 Father's Day is almost here and there are a lot of challenges for Father's Day Cards. I made this card using a woodgrain paper that I made using inks on white cardstock following a technique from Stamp TV by Gina K. The stamp is from Paper Pretties Handy Man and is colored with Copics and Jelli-Ink Metallic pens. I used a tan card base from stash layered with dark gray mats. The sentiment is from the same stamp set stamped in Memento Tuxedo Black. Finished with Metal screw brads for a manly look. You must use a product sold at Joan's Gardens. 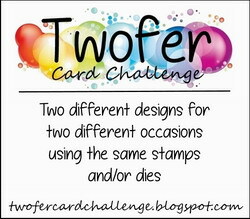 Also, mention that you are doing the card/project for Joan's Gardens Challenge. I have used a Cheery Lynn die Swedish Spring Oval Frame to emboss the black mat of black cardstock which is available from Joan's Gardens. I used a La Blanche stamp as the focus stamped with Memento Tuxedo Black ink and colored withMemento Angel Pink Marker and sponged with Memento Angel Pink ink on white Cardstock from stash. I cut with a Nesties oval die. The sentiment is a Flourishes stamped with Memento Tuxedo Black and cut with a Spellbinders Die. 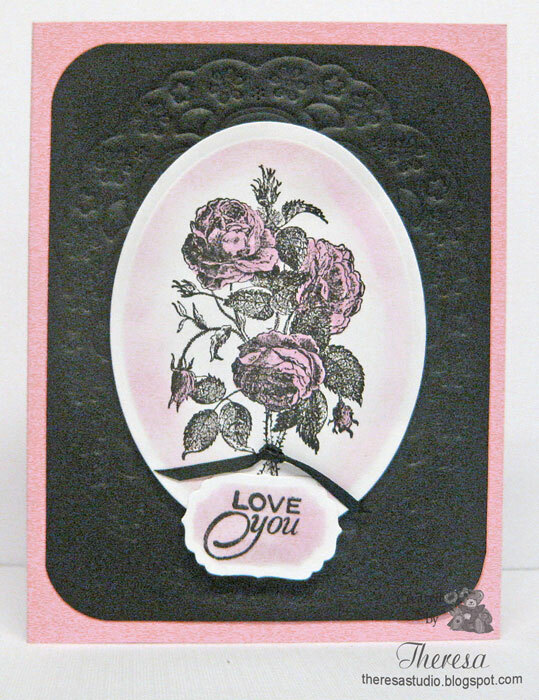 I placed this on a Pink Card base and added a black satin ribbon. I hope you can see the embossing on the background. 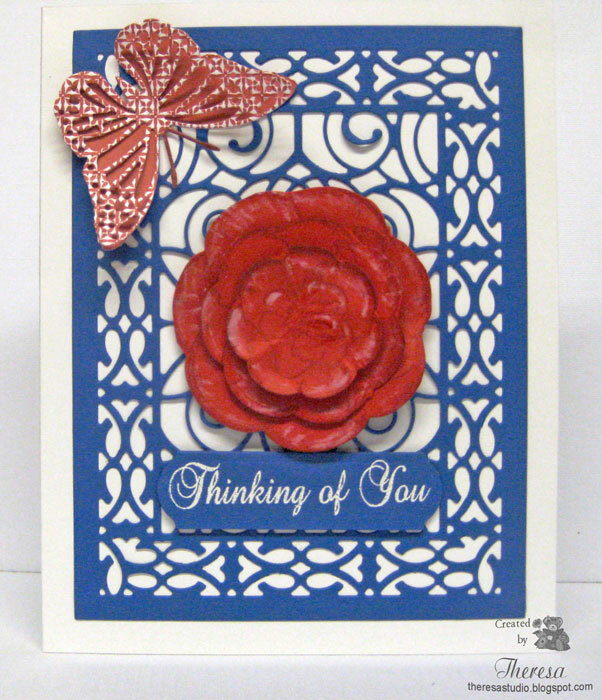 This card was made for Cheery Lynn's color challenge of Red, White, and Blue I have used Cheery Lynn's Cathedral Lace Frame die in blue card stock on a white glossy card base. I added a rose in red using Heartfelt Creations Grandiflora stamps and die stamped in Memento Rhubarb Ink cut with their Blossom Dies. I added a butterfly cut with Cheery Lynn Exotic Butterfly die Small #2 and Angel Wing Small #2. 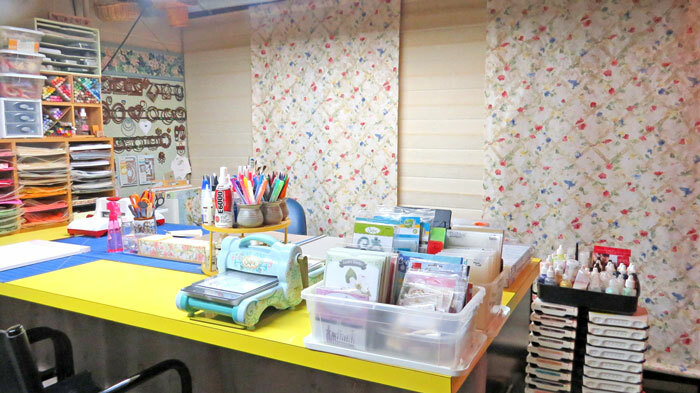 The papers are SU Brilliant Blue CS, Glossy White CS from stash and SU pattern papers. The sentiment stamped with Versamark and embossed with White EP is from Mark's Finest Papers. Cheery Lynn Designs : Red, White and Blue Challenge . 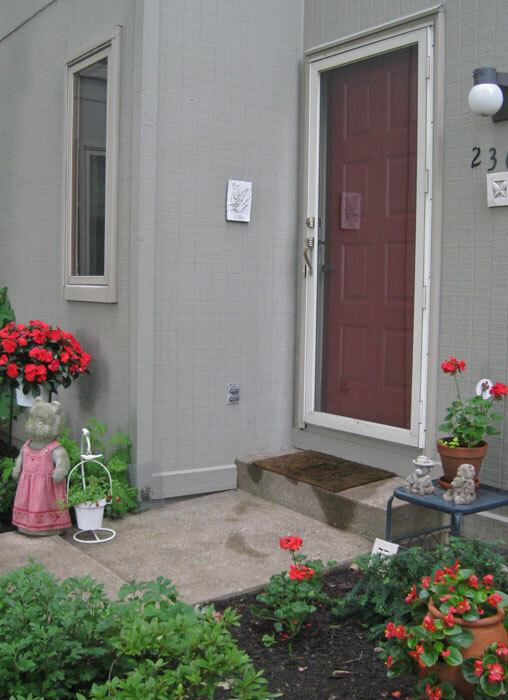 You may be asking -why are you showing a picture of a door? Well this is my front door and Less Is More's challenge this week is to use the color of your front door and show a picture of the door. As you see the color of my door is dark red. 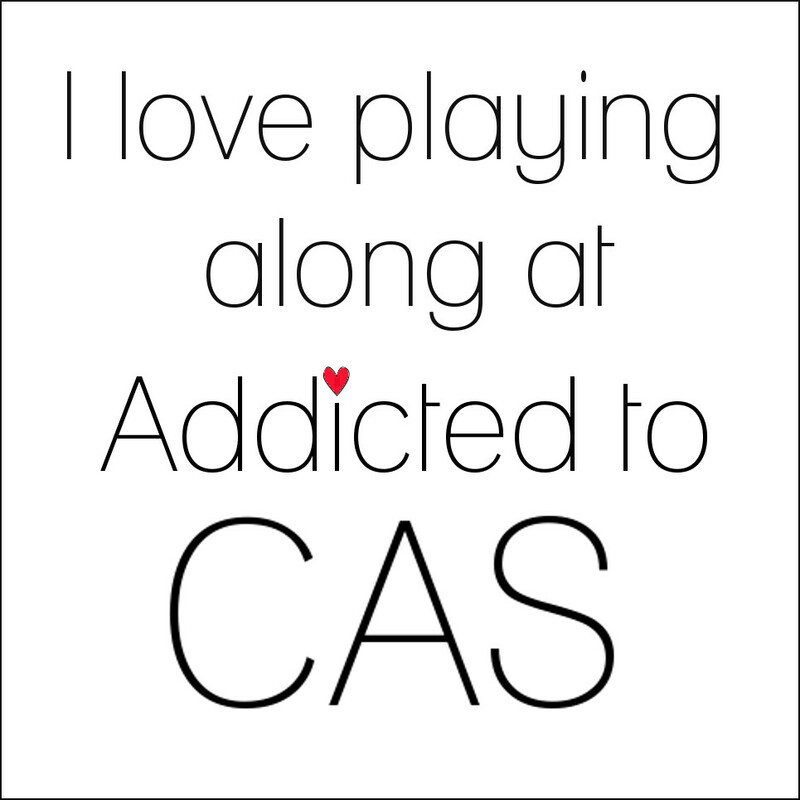 I made my CAS card with a Red Card base and Red Cherries as my image. After stamping the image, I colored with Copics and fancy cut it and attached with foam tape. I simply added some embossing across the top and stamped a sentiment with Versamark and embossed with white EP. This was a very clean and simple card to create. Alphabet Challenge Blog: I is for Image. Use image as focal point. Welcome! 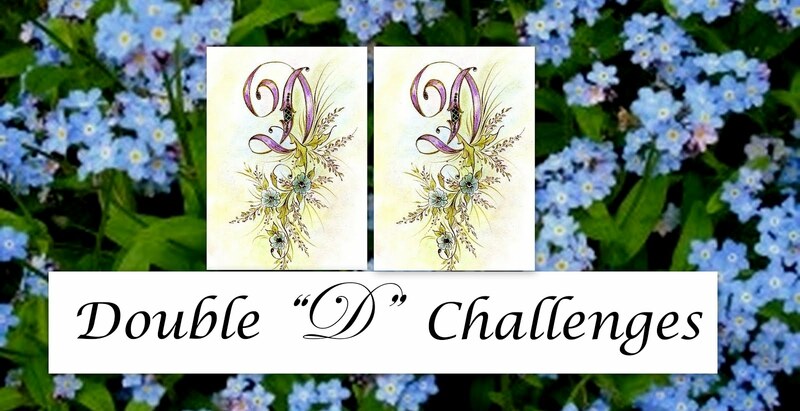 I decided to create another card for the Challenge at Joan's Gardens...we are allowed 2 cards this week. I used more flowers on this one to make sure I met all the requirements. 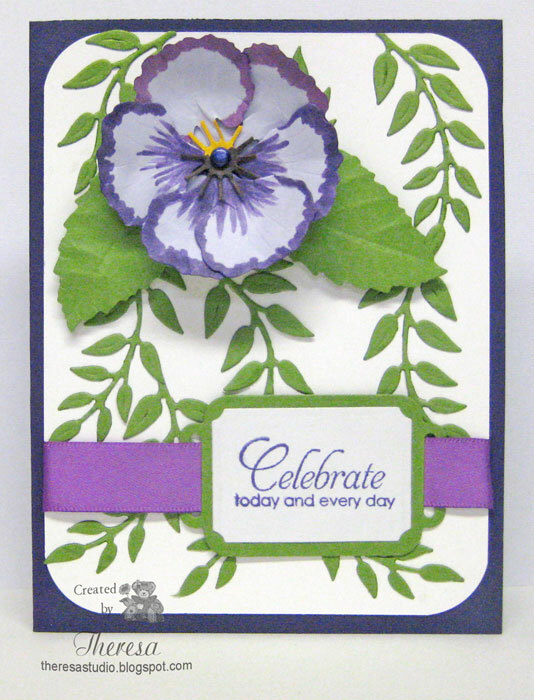 Use a leaf design for the background (die cut, embossed or stamped) --- I used an embossing folder this time and added green ink to the raised area with a pod. Add purple flowers ...these flowers are cut with Daisy Patch Dies from Heartfelt Creations from Joan's Gardens. I used paper for the petals that I purchased from Joan's. 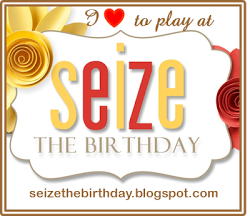 Use A Sentiment...Mine is from Flourishes Zinnias Stamp Set. 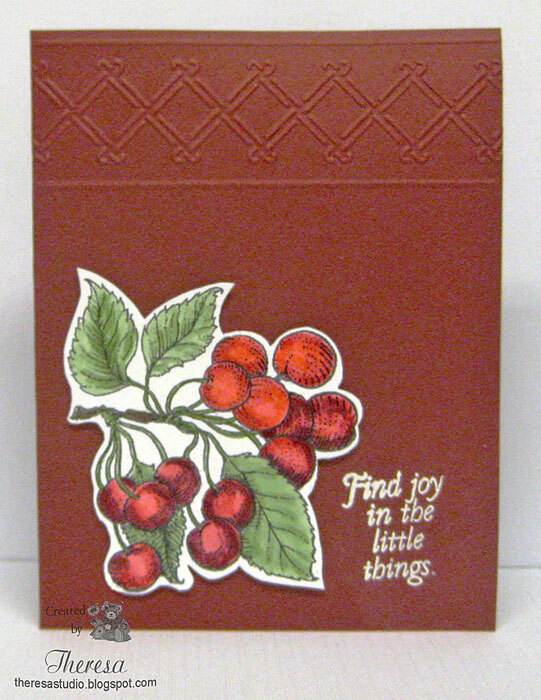 Other Supplies: Bazzill Textured CS for card base, Memento Inks Bamboo Leaves and Sweet Plum, Brads and Ribbon from Stash, Cuttlebug EF Leafy Branch, Corner Punch. Flutter By Wednesday: Open challenge...anything with a butterfly or fairy. ABC Challenge: O is for Open. Thanks for this easy challenge. CRAFTS AND ME: Challenge is Something OLD. I thought of posting a picture of me! But decided to use old items from stash....Used Cuttlebug EF ( one of the first EF's I bought) , everything that I used is over 6 months old or older. Add purple flowers ...Made a Pansy but only one-hope that counts..oops! 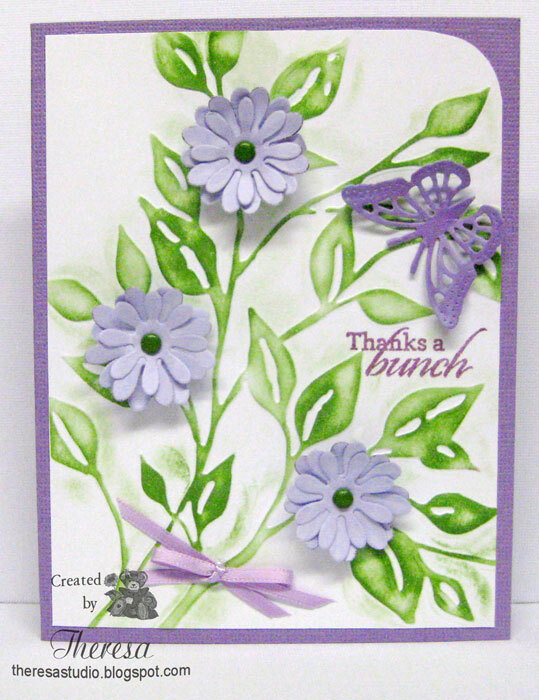 You must use a product sold at Joan's Gardens...I used Cheery Lynn Build a Flower #1, Cheery Lynn Olive Branch Die and light purple CS from Joan's. 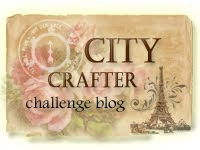 The Ribbon Girl Blog: June Challenge-Simply add a die cut. The leaves and flower were made with die cuts.